-Steps to follow religiously in order to keep facial skin smooth and glowing Wash your face thoroughly, morning and night, with a gentle natural handcrafted soap - -Choose-Right-Soap -for Your-Skin-Type. 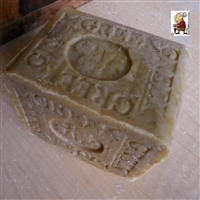 Our handmade soaps does not contain perfumes or harsh artificial additives. By cleansing, you'll eliminate dirt and clear your pores, letting skin breathe. Rinse very well every time you wash your face. Splash, splash, splash the water over your entire face and neck until all remnants of the soap. Whether you've got sensitive skin, dry skin, oily skin, or combination skin, there is a soap that will make sure you look your most beautiful. If you're dying for lovely, flawless, soft, and silky skin, you know your skin care natural soaps make a big difference, right?